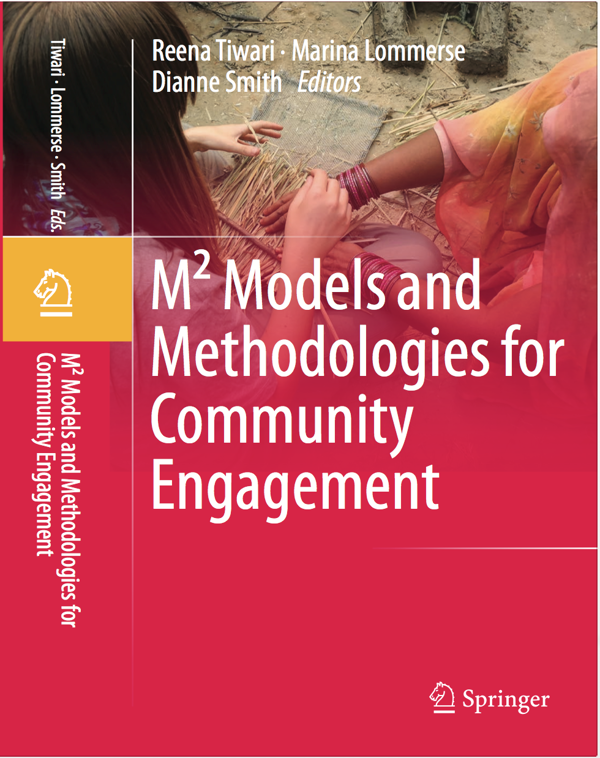 We would like to share with you the newly published Springer book M² Models and Methodologies for Community Engagement, edited by faculty member Reena Tiwari of University of Curtin in Perth, Australia and with contributions by our directors Profs Carmen Mendoza and Pere Vall. The book discusses some theoretical contents related to the Master’s Degree ‘Regenerating Intermediate landscapes’ —such as community engagement and community empowerment— in order to demonstrate how theory and practice are relevant to the development of forms of community involvement. The book analyses the attributes of community based projects by moving beyond simply bringing people together from a variety of disciplines, and taking an approach which is transdisciplinary and applicable across cultures and genres. Here, all people — including the community — are ongoing contributors, and can freely move between their own and others’ discipline-specific arenas. The book is in itself a model of community engagement, as the researchers have formed a community of research and practice for change, and have developed a transformative model for community engagement that is greater than the sum of its parts – hence M². Preview the book at Springer’s website.